Mary, a resident of Boulder, CO, was the ESNT Board’s unanimous choice among many able candidates for the position. She brings us 30 years of experience directing non-profit and for-profit organizations. Her work has encompassed the full range of skills and tasks required to develop, manage and grow a complex organization like ESNT. She has a strong record of creating collaborative, inclusive work environments, and has served on non-profit boards herself. Most recently, Mary spent 10 years as co-director and co-owner of Windhorse Community Services, a Boulder mental health services agency. Please see her bio. Mary has studied the Enneagram in the Narrative Tradition for the past seven years, finding it to be a transformative tool in her own professional and personal growth process, and she is passionate about supporting and expanding the work of ESNT. The Board is confident that ESNT, the Enneagram Narrative’s evolving container, will be held, nurtured and strengthened under her executive leadership. The reins of ESNT will pass to Mary from Mary Jo Ruccio on May 1. The Board extends its deep gratitude to Mary Jo for her eight years of exceptional leadership, and wishes her all the best in her retirement. I would like to take this opportunity to thank Board members Chris Copeland and Gerry Fathauer, co-chairs of the search committee, and their fellow committee members – Jack Killen, Terry Saracino and Evangeline Welch – for conducting an impeccably efficient, professional and effective nationwide search that brought Mary to us. 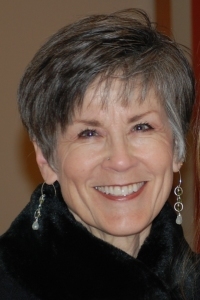 Please join the Board, faculty and staff of ESNT in welcoming Mary Freund to our Enneagram Narrative community.